Let’s Tax Tax Reform with Rashad Phillips | New Growth Hair Magazine | We capture the culture of urban barbershops and beauty salons. 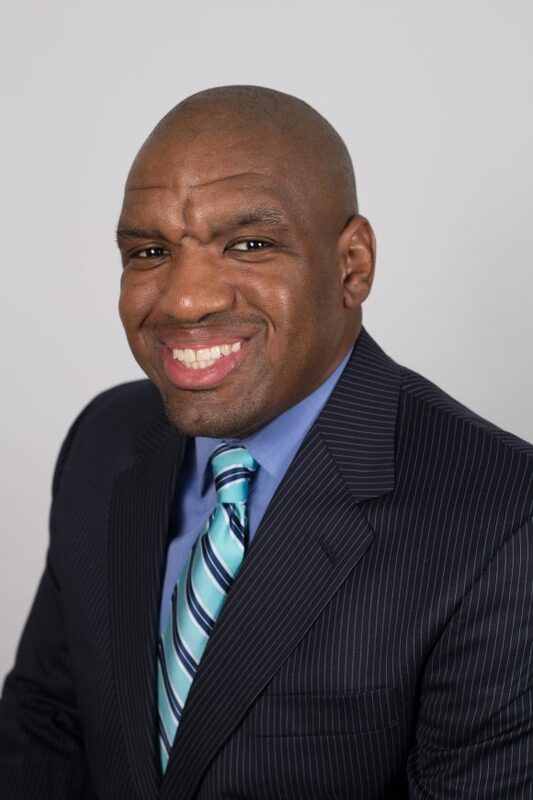 Rashad Phillips is a tax accountant, small business advisor, award winning journalist, educator, and publisher who is passionate about keeping his community informed about how to minimize their taxes and the importance of entrepreneurship. Phillips has shared his tax and business expertise on WBTV News, WSOC News, Old School 105.3 FM, and he appeared in a nationwide Time Warner Cable commercial. 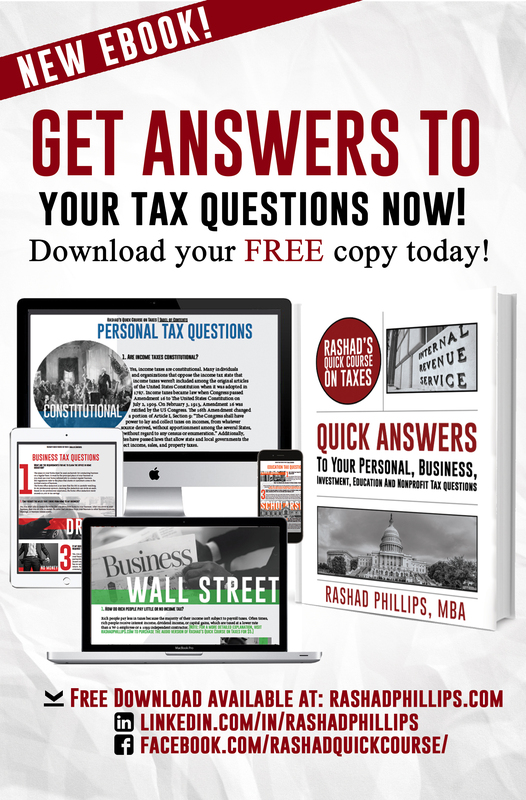 Last year, he released his first book entitled Rashad’s Quick Course on Taxes, the ultimate tax guide designed to answer the most common questions asked by individual taxpayers, small business owners, investors, and non-profit organizations. Unlike most tax books, Phillips’ book is written in simple language and is divided into five sections: personal, business, investment, education, and nonprofit. Below is my interview with Mr. Phillips about the upcoming tax season, tax reform, Bitcoin, and taxes for small business owners. Moore: What advice do you have for the upcoming tax season? Phillips: In 2018, be patient and prepare for change. Early tax filers who expect fast refunds will have to wait a little longer because IRS efile doesn’t begin until January 29th. This means that early tax filers will have to wait until mid-February before receiving their IRS refund. In the past, a lot of early filers would have received their tax refund by the first week in February. Also, many taxpayers will be required to plan and prepare for change due to the President Trump’s Tax Reform Plan formally known as Tax Cuts and Jobs Act. Lawmakers have created the new law and the Internal Revenue Service (IRS) will be responsible for interpreting the law, creating new forms, and new publications. So, taxpayers should expect new tax forms and publications for tax year 2018. Moore: What are your thoughts on Trump’s new tax reform? Phillips: I am not surprised by the passage of the new tax reform. Last year, when you interviewed me I said: “Due to the current political climate, with Republicans controlling the United States House of Representatives and Senate, we should expect significant tax changes.” When a new administration takes over the executive branch and the balance of power changes in The United States Congress, it’s typical for tax laws to change. The new tax reform will not affect the current year’s tax filing in 2018 for tax year 2017. In 2019, taxpayers will experience the changes when they file their 2018 tax returns. In my opinion, taxpayers should strongly consider hiring a tax professional to assist them with filing their returns in 2019 due to tax reform. Moore: Who benefits the most from Trump’s new tax reform? Phillips: Entrepreneurs who have pass-throughs, real estate investors, and large corporations will benefit the most from Trump’s new tax reform. Pass-throughs are partnerships, limited liability companies (LLC), or S-Corporations. Currently, we are in a very politically charged environment and a lot of people are angry about select groups of businesses and high net worth individuals getting large tax breaks under Trump’s new tax reform. Instead of getting angry, I suggest people figure out how to tax advantage of the tax reform. Now is the time to schedule a meeting with your tax professional to figure out how to create a passthrough or purchase income-producing real property to realize some of these tax benefits on your tax returns. Moore: What do business owners need to know about taxes? Phillips: Business owners who are sole proprietors must file their tax returns on or before April 17th but if they are operating their business as a corporation, partnership, or limited liability company (LLC) then March 15th is their filing deadline. Also, aspiring business owners should consider meeting with a tax professional so that they can structure their business to take advantage of the new tax reform. I encourage business owners to download my eBook so they can get a detailed explanation on the importance of record keeping, learn various options of how to pay themselves, and the importance of the S-Corp.
Moore: Everybody is talking about Bitcoin. Are you required to pay taxes on Bitcoin? Phillips: Bitcoin is one of the most exciting new investment opportunities. Many people believe that because Bitcoin isn’t regulated by a government agency that it isn’t subject to federal and state income taxes but that isn’t correct. In the eyes of the IRS and state departments of revenue, Bitcoin is no different than any other property investment which is subject to federal taxation. In March 2017, if you purchased 1 Bitcoin for $1,032 and you sold 1 Bitcoin for $19,185 in December 2017, then you are required to report a $18,153 gain on your federal and state tax returns. On March 25, 2014, IRS published IR-2014-36 entitled IRS Virtual Currency Guidance: Virtual Currency Is Treated As Property for US Federal Tax Purposes to inform taxpayers that Bitcoin is taxable. Additionally, on November 29, 2017, Fortune Magazine published an article on fortune.com entitled IRS Wins Bitcoin Fight, Get Access to 14,000 Coinbase Accounts. IRS might not be able to track your Bitcoin transactions but they can get access to your Coinbase Accounts and if you fail to report your Bitcoin profits on your tax return you could be found guilty of tax evasion. Moore: What suggestions do you have for aspiring entrepreneurs? Phillips: Before you start a business, it’s very important that you have several trusted experts and experienced entrepreneurs who you can contact for advice. It’s also very important that you develop the entrepreneurial mind set. Most people who are successful employees have difficulty becoming successful entrepreneurs because they think like employees. Successful and experienced entrepreneurs are comfortable being uncomfortable; we take calculated risk for long-term future profits. Last but not least, you must become fearless. Successful entrepreneurs aren’t afraid to fail. We view what most people consider failure as a lesson on our path to success. I encourage aspiring entrepreneurs to visit rashadphillips.com to check out suggested books and films in my library (which is under the Media tab).